What is Entomophagy and Why it's Important to Adopt the Practice. Maybe a better way to phrase it is “the practice of eating bugs” since it includes many arthropods beyond just insects. This covers spiders and scorpions (arachnids), centipedes (myriapods) and even shrimp and lobster (crustaceans) – which generally are not considered part of entomophagy. Not too long ago people had the same aversion to eating bugs of the sea. ‘Just look at how expensive shrimp and lobster are now that we have discovered how good they taste. 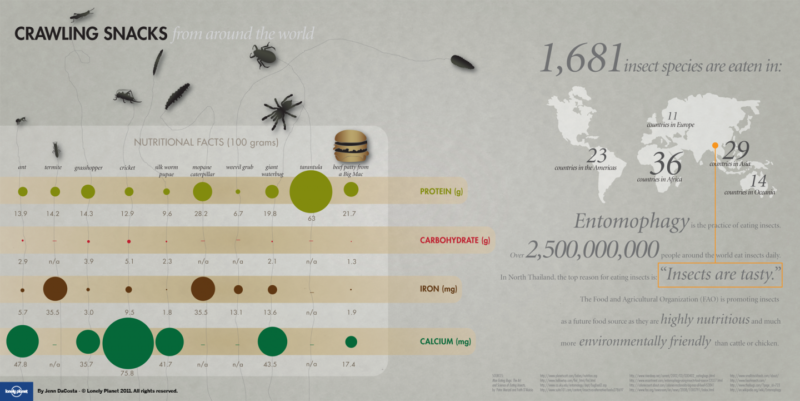 Here in the states, entomphagists are rare but worldwide over 80% of the countries include bugs in their diet. It can be the whole adult bug, the eggs, larvae or pupae. Our southern neighbor, Mexico, enjoys over 200 different kinds of bugs with ant larvae (escamole) being coveted similar to caviar. Worldwide, there are nearly 2,000 different insects enjoyed. 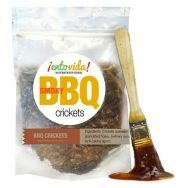 Entomophagy is a whole new culinary experience. Insects are the largest animal species in the world and every bug tastes different. 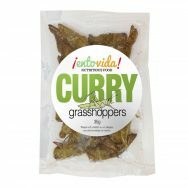 If you can overcome your unwarranted cultural fear of eating bugs, you will discover a whole new world of flavors in insects. The health and safety of our children may depend upon the adoption and expansion of entomophagy. Our population is growing rapidly and our planet is facing significant problems because of this. Our planet is simply having trouble supporting all of us already. Our current meat production can not increase at the rate our growing population will demand. We simply do not have enough land available to raise enough livestock to feed our growing population meat. Food security is a major problem for many people worldwide already. Food insecurity, in many cases, can lead to war. These, and many other, problems will only increase with a larger population. We need solutions. Edible insects is one solution we can begin to adopt today. Bugs are a true animal protein with all of the essential amino acids. Most are a prebiotic fiber (chitin) and they all contain significant amounts of highly bio-available vitamins and minerals. Eating insects is very healthy and has been safety tested for many thousands of years. Note: People who are allergic to shellfish may be allergic to bugs. Bugs can be farmed by households, family farms and by big industry. They are very versatile and can even be grown vertically in urban environments humanely. They are sustainable and use a fraction of the land, water and feed that meat requires. Eating bugs is a critical step towards creating a healthy planet that is able to support our species. Start today. It’s easy to become an entomophagist, just give bugs a try. Have some chapulines and a beer. Add cricket powder to your salads and shakes. ‘Black ants to your ice cream. The list goes on. Open up a whole new culinary world while working toward saving our planet. Become an Entomophagist. It’s a big step in the right direction.